This was no surprise. There was only going to be one winner; and every one knew who it would be - Lionel Messi. After watching his rival Ronaldo triumph for last two occasion, it was pretty sweet to win it again. With this award he has become the first footballer to win it five times in the history. We can write a thousand words to describe the feeling, his comeback and all. But nothing can be better than watching the video below. It's a must watch for every Messi fan. 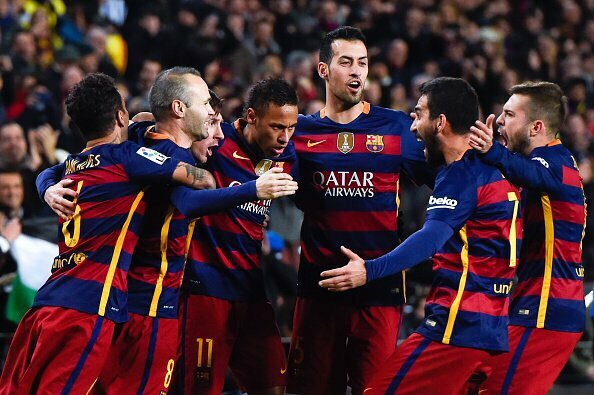 FC Barcelona more or less made sure of a Quarter Final Position with a 4-1 demolition of Espanyol at home. In a fiery clash both in terms of football and physical presence, Barcelona stood well and truly above their next door neighbor. Lionel Messi was in sensational form scoring two goals and creating the other two. Enjoy the extended highlight video below.